Lawnscapers, Inc. is one of the most trusted landscaping companies in Wisconsin. Most property owners choose us because of our client-friendly pricing, complete resources, and highly skilled manpower. With over three decades of experience in the landscaping industry, we’re able to hone our expertise in the field of landscape installation, maintenance, and hardscape restoration. We are also the choice of many homeowners because of our award winning designs. 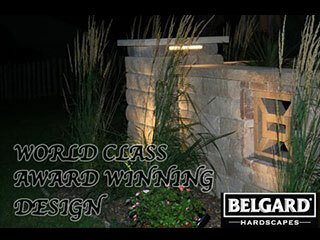 We have proven many times that we can transform dull outdoor spaces into beautiful and functional areas. We can realize these setups even if you have a limited budget. 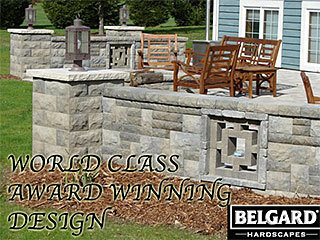 Our award winning designs were already featured in Belgard's catalogue and other industry publications. 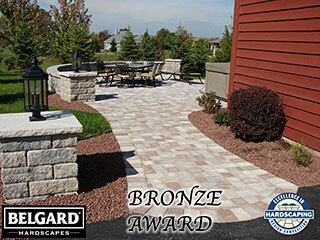 Belgard is the leading hardscape manufacturer in the country and we're proud that we have received numerous awards from this industry leader. 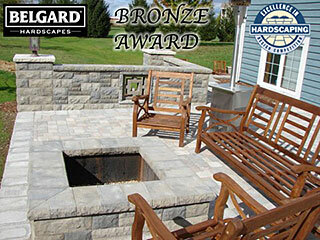 We treasure these recognitions because these are only given to well-experienced and established landscapers and hardscape builders. Please contact us at (262) 377-5885 or drop by at our office during business hours so we can discuss how we create custom designs for our valued clients. We are also excited to show you some of our outstanding creations - from elegant patios and decks to beautiful landscape settings.